William E. Cobham Jr. is simply one of the best jazz drummers there has ever been. Period. Armed with formidable technical skill, he came to prominence in the early days of fusion as the rhythmic force behind Miles Davis' fusion experiments. His other notable early 70s posting was in the engine room of fusion supergroup the Mahavishnu Orchestra. 'Crosswinds' comes from the next stage of his career, as the powerful and superfast jazz-rock of Mahavishnu gave way to a more human jazz-funk sound. The transformation was taking place through 1973's 'Spectrum' (being particularly evident in sampler's favourite, 'Stratus') but the change of guitarist to John Abercrombie ushered in a less frenetic sound. That's not to say there aren't sweaty, full-bore fusion workouts here. 'The Pleasant Pheasant' is fast and furious, but remains funky despite it's technical brilliance. The Brecker brothers are on particularly good form, especially MIchael with his keening soprano. And don't forget George Duke, anchoring the whole thing with a funky riff on a heavily funked-up rhodes. 'Storm' is another wild ride - a Cobham solo with only the wind for accompaniment, making his drumming sound even more like the elemental force that it truly is. Where the album really stands out, though, is on the slower cuts. 'Heather' in particular is at times so slight that it's hardly there, but features some well considered playing from both Duke and Michael Brecker. 'Savannah the Serene' is as calm as the title would suggest, and gives the other Brecker a chance to shine, as well as featuring Duke's Rhodes sounding almost like a vibraphone. 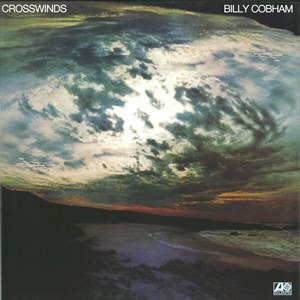 The whole album carries a weather-related theme - tracks with titles like 'Storm', 'Flash Flood' and 'Crosswind' clearly speak of Cobham's music (for it was he who wrote all of these pieces) as a force to be reckoned with, yet the whole set is accessible - perhaps moreso than his earlier work with Miles and Mahavishnu. The weather motif does give the record a 'concept-album' feel; I know 'jazz-funk-fusion-concept-album' looks as if it should be terrible, but this is great music, really great. If you get what Miles was doing in 1969, if you're partial to a bit of funk, or if you just like your jazz to come with a healthy dose of musicianship, then you'll find something to like about this album.